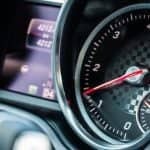 Finding the best gauge for jumper cables can be extremely difficult because there are so many types available on the market today. 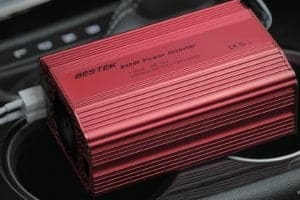 To help you find the one that best works for you, we have reviewed the best gauges for jumper cables that have been developed by the biggest brands. 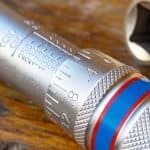 Our detailed guide will also help you know what to look for so you can buy the best gauge to last you a long time. Cost: Anything over $50 is pushing it; there are fantastic cables for a lot less. 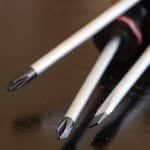 Width: Find a thicker cable as they are safer and will last you a long time. Clamp: Clamps need to be sturdy as you want it to stay in place; find one with strong and durable teeth as well as rubber-coated handles, as they are an additional safety feature. Length: Look for a length of over 15’. Gauge: Of course, we will be looking at the gauge. 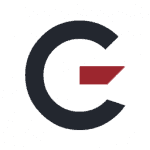 Gauge refers to the wiring thickness of a jumper cable. For the average set of jumper cables, you will be looking at a gauge rating of 6. Something that you must know is that the lower the gauge rating, the thicker the jumper cables are. 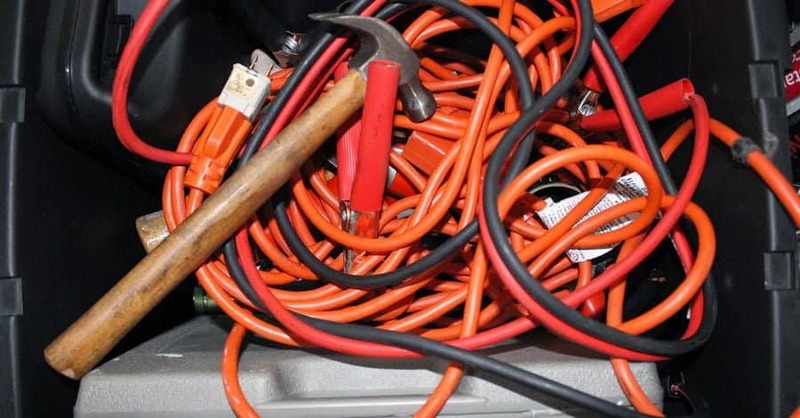 You will want to find jumper cables with at least a gauge rating of 6; anything over that is not going to be safe and is going to be too flimsy. However, even cables with a gauge rating of 8 can get the job done for smaller vehicles. 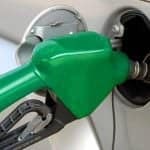 You will also see the price go up if the gauge rating is lower. These cables, developed by the company, “Always Prepared,” can literally jump start anything you can think of. From a small compact car to a powerful monster truck, these 4 gauge cables have a capacity of up to 400 amps. These are extremely heavy-duty cables equipped with the ability to bring batteries that are dead back to life in just a few minutes. 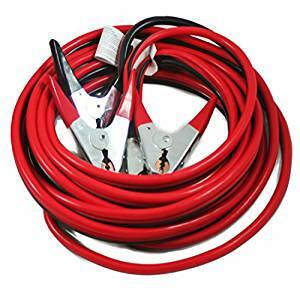 The Jumper Cables 4 Gauge cables also are equipped with alligator clamps that are very easy to open and have a strong, firm grip. They will hold a charge and can grab any type of battery. It does not take much strength to open them as well. These cables weigh only 4.5 pounds, making them incredibly mobile to jumpstart a vehicle from any position you like. 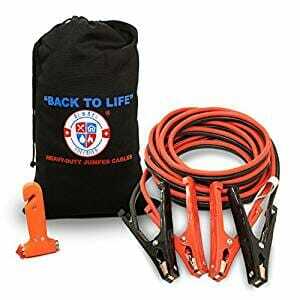 If you’ve never jump started a car, no need to worry, as these cables come with easy-to-read instructions that will instruct anyone on the procedure for jump starting a car. The cables are 20’ long and come with a 10-year warranty because Always Prepared is sure that they will last a long time. If anything goes wrong within 10 years, they will send you a new set, completely free of charge. Developed by the brains at ABN, the ABN 2 Gauge 600 Amp Commercial Grade Parrot Clamps are extremely affordable and built to last. They have a lot to offer for anyone not looking to break the bank when searching for jumper cables. These cables measure 25’ and can hold power up to 600 amps. 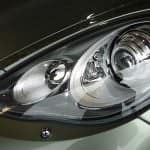 They are fully coated with high-tension rubber, maximizing safety and making sure you have a strong connection. Each clamp also is color-coded, so if you are ever confused what goes where, it is easy to follow. The ABN 2 Gauge Commercial Grade also is completely tangle-free, making set up and clean up extremely easy; it completely gets rid of any frustrations you may have especially under time constraints. They have been designed to work under extreme weather conditions of both snow and rain. Ideally, they can be used on larger vehicles such as an RV, tractor, bus, semi, but also smaller vehicles as well. Energizer is one of the most well-known brands on this list today. They offer high-end products, at competitive prices, with fantastic customer service. These 1-Gauge 800A Heavy-Duty Jumper Battery Cables have a lot to offer and come with a variety of features. 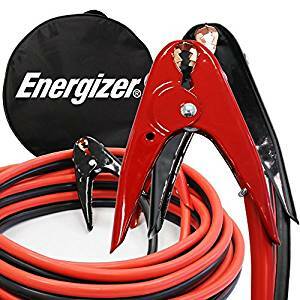 Energizer 1-Gauge 800A Heavy Duty Jumper Battery Cables come in at 25’, allowing you to even boost your car battery from behind the vehicle. It has been built using durable copper-clad aluminum to last you a long time. It can be used on a top and also a side battery, depending on your vehicle type. The cables are also tangle-free and very flexible, even at temperatures of -30° Celsius. These 1-gauge cables also work at a power of 800A and the clamps have been coded in red/black so you can easily identify them. The OxGord Jumper Cable 4 Gauge x 25 Feet Commercial Grade cables are one of the most affordable jumper cables on the list today. However, whenever something is cheap, we have to make sure it doesn’t lose a substantial amount of quality. 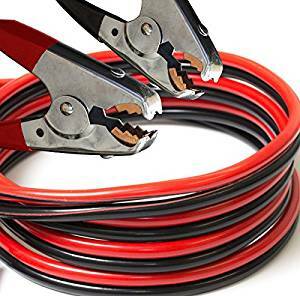 These specific jumper cables are color coded orange and black so you never have to worry about crossing wires; this makes them very safe to use, even for beginners. They are fully coated in copper aluminum making them strong and durable to last you a long time. They are very resistant to extremely cold temperatures and maintain their flexibility all the way down to -40° Celsius. The teeth are also made of copper, creating a strong grip. This kit also comes with a CCA free travel bag to keep it safely stored in your vehicle for long periods of time. 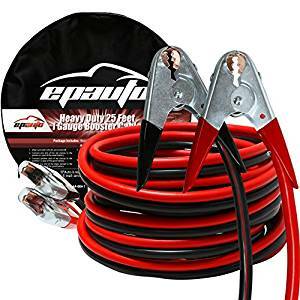 EPAuto 1 Gauge x 25 Ft. 800A Heavy Duty Booster Jumper Cables by EPAuto are some of the best jumper cables on the market today. They are equipped with a substantial number of features to help you jump-start your vehicle, no matter how small or big it is. This is a heavy-duty 1-gauge cable that stretches 25’, giving you maximum flexibility while jump starting a vehicle. This set comes with a carry bag and a pair of safety work gloves, just to maximize your own personal safety during the process. These cables can be used on smaller vehicles such as cars and motorcycles, but have also been built to jump-start trucks, vans, and SUVs. The capacity of the jumper cables is 800 amps. The main thing whenever buying jumper cables are safety. Buying any product that uses electricity and will be working directly with your vehicle needs to be safe, especially with the amount of voltage that will be running through these cables. 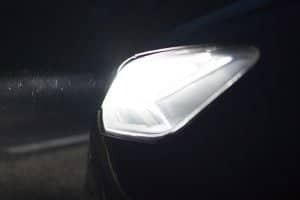 That is why GarageChief chose these top five brands that have been deemed extremely safe and will last a long time. 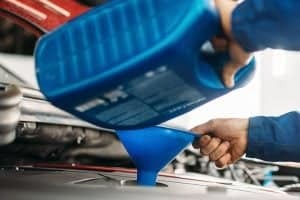 Whether you have never jump-start a vehicle before, or you have a lot of experience doing so, all the products listed above will definitely serve you well. The best part is they are extremely affordable and are going to last you a long time.